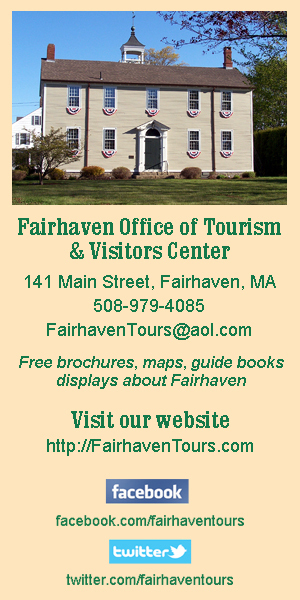 The Fairhaven Selectboard held two public hearings, and discussed marijuana regulations and Union Wharf regulations, most of which prompted comment from residents at its meeting on Monday, 6/18. The board also introduced William “Guy” Vachon, Fairhaven’s newest police officer (see page 19 for story). The new owners, Jim and Mary Moraux, received permission to move and expand the drinking area, and are now allowed to have drinking outside on the patio. Attorney Andrew Ruff, speaking for the owners, said the location of the entertainment tent needed to be moved for safety reasons because it was over the gas tanks in the parking lot on the south side of the building. The owners wanted to move the tent area, that houses the bar, bar seating, and live entertainment, to the east side of the building, and add seating capacity to 145 from 85. There were a few testy exchanges between the board and residents, and between residents as some confusion arose over what the hearing was about. At one point, officials said it was only about the change of officers, but the legal notice clearly stated it was about an increase in capacity. There was also some confusion about what was being expanded, and the square footage of the areas in question. Part of the confusion was the use of the words “indoor” and “outdoor,” with indoor actually meaning the tent area, but clearly the description of the property in the legal notice referred to the building because it mentions the second floor. The more detailed filings, however, explain the changes better. There will not be any drinking or eating inside the building. All activities will now take place on the east side of the building, with 1,000 square feet under a tent and the rest outside, in an open-air patio by the docks. The entire outside drinking area will be fenced in and will encompass approximately 3,000 square feet. The building itself will continue to be used as office and work/storage space for the marina. A kitchen trailer will be located on the north side of the building. Regulations regarding use and hours of operation will not change. All three Selectboard members voiced support for the existence of the marina with the bar, making it clear from the beginning that changes would probably be approved. In reality, the public and patrons of the facility will probably not notice much of a difference, just the location of the tent to the east side of the building. The patio area is in the same place and has been used for food consumption all along. Previous complaints about the business included a lack of adequate parking for patrons, and excessive noise to residents of West Island. Changes to the marina property included removal or relocation of some boats, resulting in parking for an additional 50-60 cars. The owners have also taken “considerable efforts” to address noise concerns, said Mr. Ruff. All residents spoke in favor of the business, some unequivocably, others with some concerns about parking/traffic and noise. No one said they wanted the business to stop offering entertainment. Antone Medeiros said he believed the noise would be less for West Island residents, even though the new area is closer to the island, because, he said, the building would block the prevailing southwest wind. “Let the guy run his business,” said John McGilvray, who lives on the island. Even Robert “Hoppy” Hobson, who has been railing against the use of Hoppy’s Landing as a de facto free extension of the venue’s parking lot, said he was happy that the owners created extra parking at the marina. He said they did a good job cleaning up the place, but he also said that parking at Hoppy’s is a town problem, and goes beyond the marina. The board said that the issue of parking at Hoppy’s Landing, who could park for free, who had to pay, and where each kind of parking is allowed, will be discussed at a meeting soon. Mr. Hobson also noted that the property has a “tight tank” type of septic system, which raised other questions. The board tried to say that was not up for discussion, but if added capacity is part of the public hearing, then it should be, countered residents. Mr. Hobson and several other resi­dents asked the board not to make a decision until the Board of Health and Planning board (for parking) could weigh in. WI resident Robert Rizzo started by saying he had not complained this year, which prompted chuckles from his neighbors. “I do not find the humor in that,” said Mr. Rizzo, who said that noise from the music interfered with his ability to enjoy his home in peace and quiet. He said he felt the new location of the tent would make things worse. He asked if they could at least not play the music past 11 p.m. The license allows music until 1 a.m., but the owners said they stop it at 11:30, by contract with the talent, to accommodate the neighbors. Several neighbors waxed poetic about the venue and the music, extolling its virtues as a destination and a special place, and received applause for their descriptions. Matthew Brodo said even his five and seven-yea-old children know how special the area is. In the end, the board approved all the requested changes. In another hearing, the board approved an auto glass repair license for Aaron Gagne. There was no public comment. Another matter that received some comment revolved around regula­tions for two new docking spots for commercial boats at Union Wharf.’ The new area is near the new marine safety area on the north side. The draft regulations will be dis­cussed at the Marine Resources Committee meeting and brought back to the Selectboard for approval. Some commercial fishermen who use the town docks have complained that the Northeast Maritime Institute boat, Navigator, has been allowed to use one of the new spots ahead of everyone else. Harbormaster Timothy Cox said the new regulations will spell out details, and the two spots will be assigned by lottery. NMI is not guaranteed the spot. Meanwhile, they are paying $25/day, which is the highest rate charged at Union Wharf. In any case, it could all be temporary, because the town is seeking grant money to build in that spot using permits the town holds to build a pier supported structure in that spot. In another matter, Mr. Hobson submitted an invoice for $1706, for attorney’s fees incurred when he took the town to court to force a recount on the Board of Public Works race that ended in a tie between him and Al Martin. Mr. Hobson contends that because it was the town’s error that resulted in his need to hire an attorney, that the town should pay the fee. “I feel the burden should be on the town, not me,” said Mr. Hobson. The board tabled the item because there was some question as to whether or not the town could legally pay the bill. In other business, the board: ap­proved a new Request for Proposals for sale of the Rogers School. The board also received an update from town Planner and Economic Development Director Gloria McPherson on the drafting of regula­tions for the sale of recrea­tional marijuana, which will have to be voted on at the Special Town Meeting in the fall if they are to go into effect before the moratorium expires on 12/31. Bernard Rodericks spoke in favor of getting a ballot question to voters to prohibit recreational pot sales in town. The board had previously decided not to authorize a ballot question. Because voters approved the use of recreational marijuana when it was on the statewide ballot, only a town-wide ballot question can ban pot shops in town. There is a method for citizens to force a ballot question vote, but Mr. Rodericks clearly wanted the board to sponsor the question. The board did not change its vote.